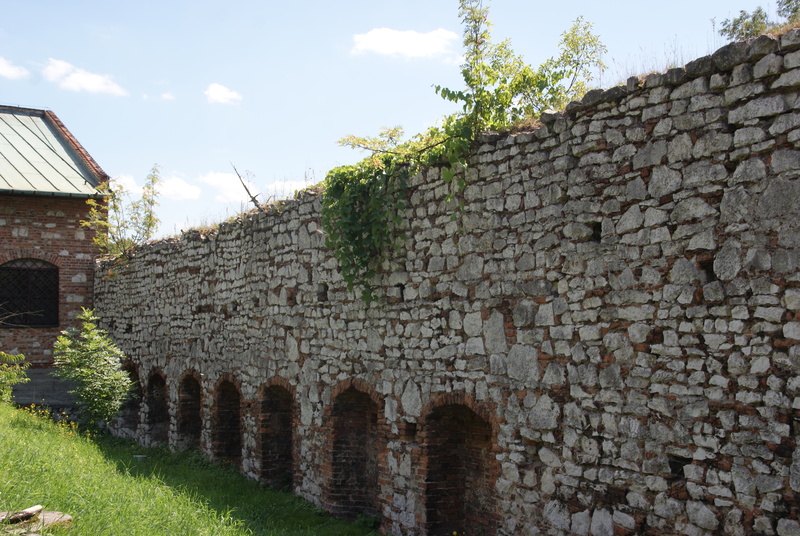 With your help we will renovate the outer wall of the abbey fortifications and basements of the western wing of the monastery. The scope of the work for the year 2016 is marked in yellow. 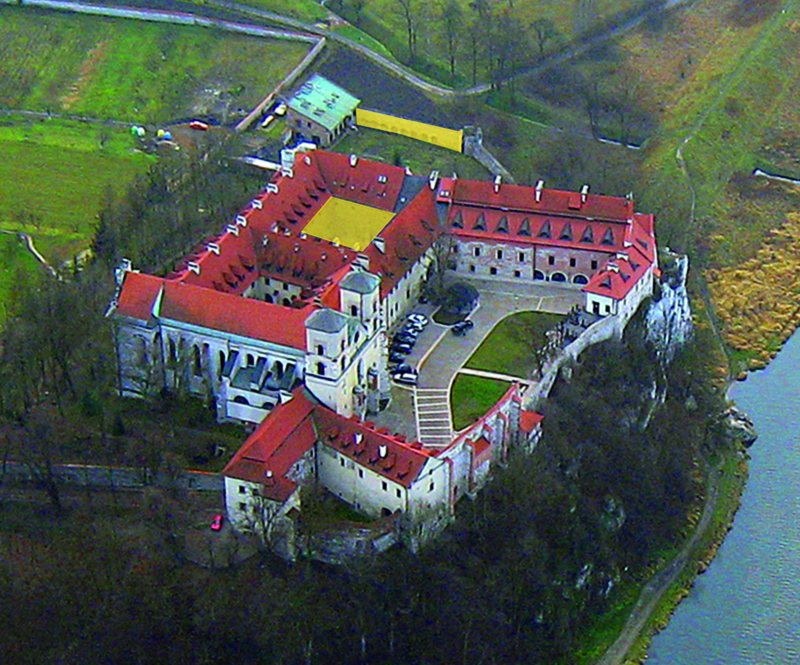 For our community it is both a privilege and a duty to serve as guardian of the heritage of the Abbey of Tyniec. It is not an easy task: despite regular conservation and renovation work, the upkeep of a historical monument of such value requires on-going work and significant finance. 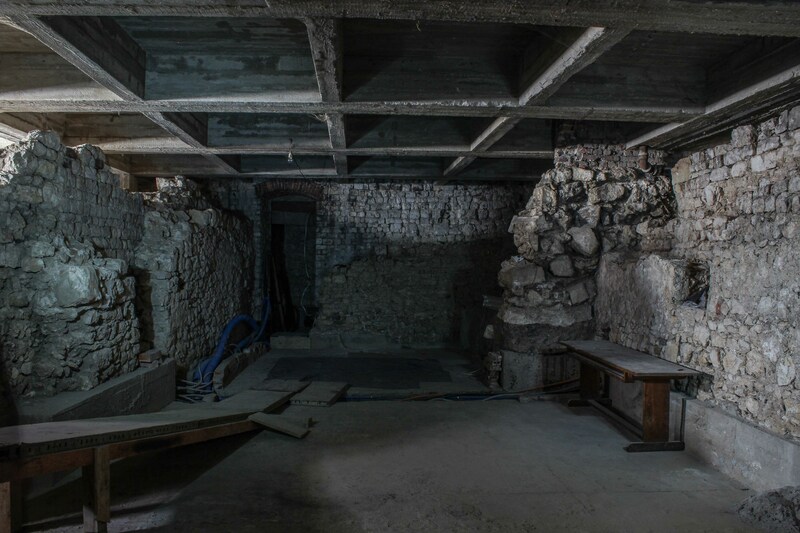 The Romanesque basements of the abbey, built in the 11th and 12th centuries, will house the first Polish museum of the history of monasteries in Poland. 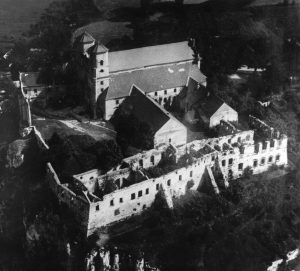 It is one of the few places in Poland where the Romanesque structure has remained largely entact to our time. 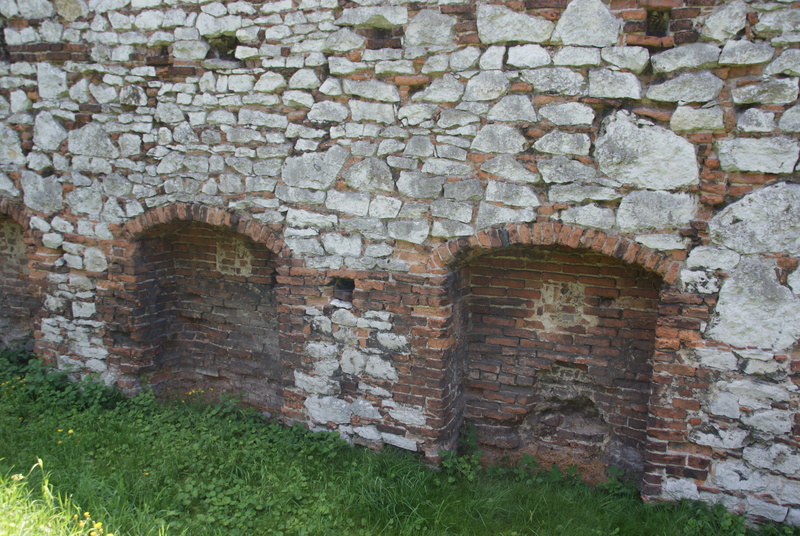 The historical wall around the abbey, which dates back to the time of the Bar Confederation. The road to the abbey. The leaking roof of the Old Library wing. 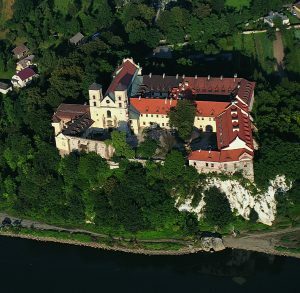 In 2016 the abbey received funds from the Social Committee for the Renovation of Kraków Monuments. However we need the rest of the sum, to secure our financial contribution. This is necessary in the process of applying for funds from the European Union. Each donation matters. We pray for our Benefactors each Wednesday during the Vespers. Help us protect this treasure of Polish national heritage. 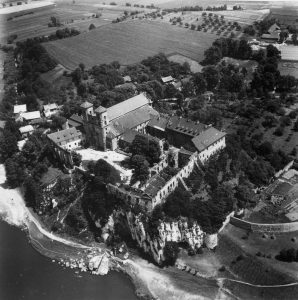 The reconstruction of the abbey began in 1947. 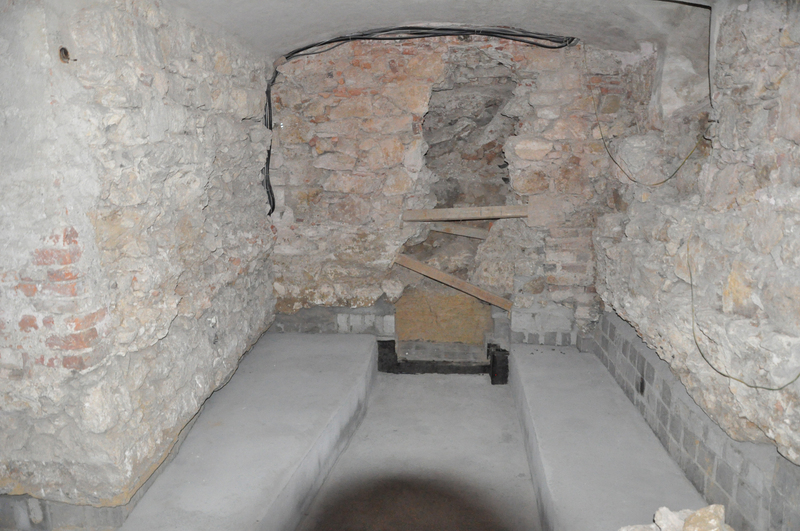 With the support and generosity of many people we were able to reconstruct parts of the monastery in the recent past. 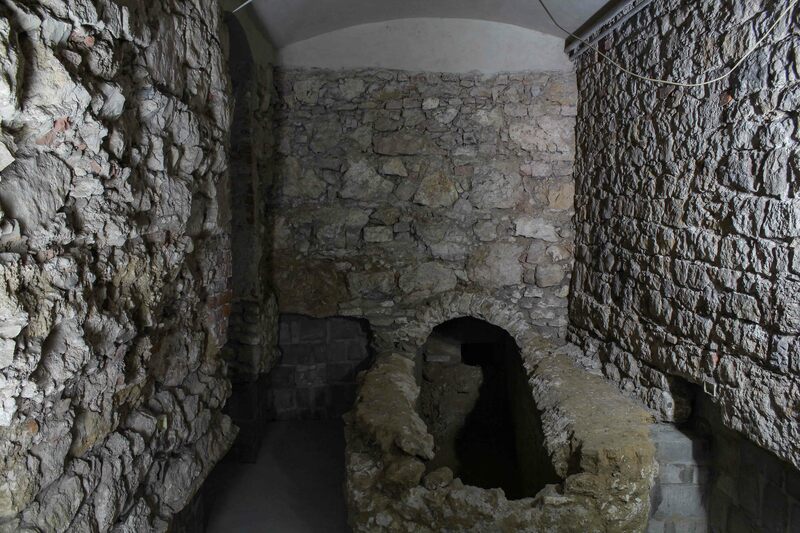 Today we want to take care of what is beneath the abbey and make the oldest part of the structure accessible to everyone.